Congratulations! You have in your hands the collected knowledge and skills of the professional proposal writer  without having to be one! Inside, you'll find out how to unlock what these professionals know and apply it to your own business to improve the way you capture new customers and communicate with existing ones! Association of Proposal Management Professionals promotes the professional growth of its members by advancing the arts, sciences, and technologies of winning business. 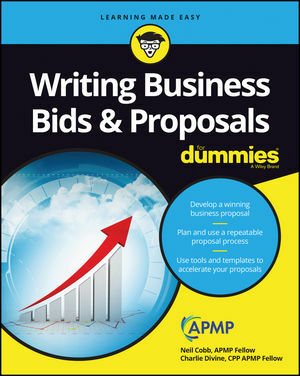 APMP is the worldwide authority for professionals dedicated to the process of winning business through proposals, bids, tenders, and presentations.